"Chinese couple at their wedding." [English: Chinese couple at their wedding.]" Title: "Chinese couple at their wedding." 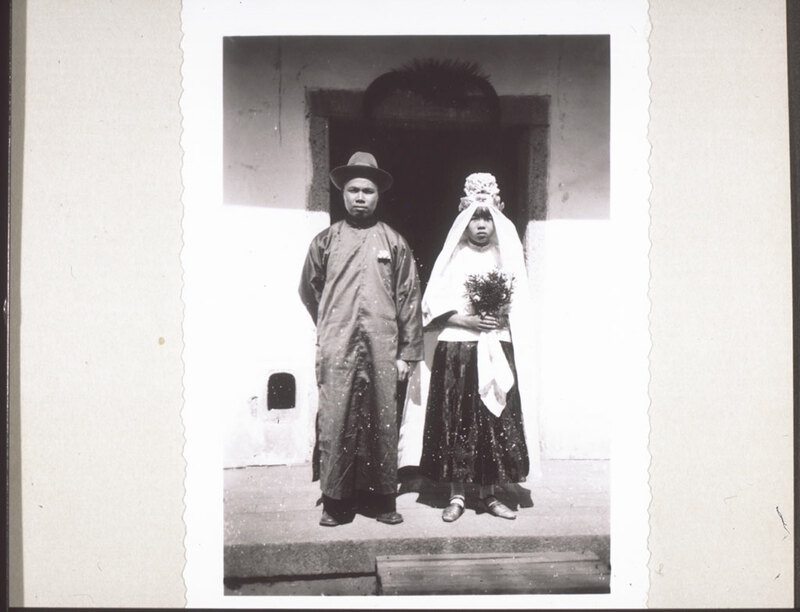 Ruff, Ernst Erich (Mr) , “Chinese couple at their wedding.,” BMArchives, accessed April 23, 2019, http://www.bmarchives.org/items/show/51767.